Passion fruit is an intriguing and mysterious fruit that has a surprising number of health and medicinal benefits for those fruit lovers who add it to their diet. Some of these benefits include passion fruit’s ability to prevent cancerous growth, stimulate digestion, boost immune function, improve eyesight, increase skin health, regulate fluid balance in the body, lower blood pressure, boost circulation, and improve bone mineral density. Furthermore, it reduces signs of premature aging, lessens inflammation, improves sleeping habits, and eliminates asthma. Passion fruit looks a little strange growing on its creeper vine, which can wrap itself around almost any surface and cling on, seeking the sunlight. However, don’t let appearances fool you, this fruit is widely celebrated and eaten around the world, and has been for hundreds, if not thousands, of years. There are more than 500 varieties, and their appearance varies widely. In terms of color, they are usually yellow or dark purple, and look somewhat like a grapefruit. The interior is filled with a firm, juicy meat and an abundance of seeds. The fruit is regularly squeezed for the highly beneficial juice, and you often see it added to other juices to improve the flavor and add an exotic taste. You can find passion fruits grown in nearly any warm climate in the world, provided they are frost-free throughout the year. This includes the South Pacific, Central America, the Middle East, the Mediterranean, and various subtropical locations throughout the world. These individual cultures utilize it in their cuisine, because the need for exportation is relatively slim, considering that it is grown in so many different places and varieties around the world. It is a popular breakfast food, juice, snack, and flavor additive to salsa, salad, and desserts. 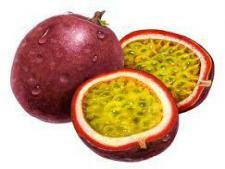 That long list of health benefits commonly attributed to passion fruit is due to the nutrient, mineral, and vitamin content of the fruit, which includes antioxidants, flavonoids, vitamin A,vitamin C, riboflavin, niacin, iron, magnesium, phosphorus, potassium, copper, fiber, and protein. The percentages of many of the vitamins and minerals are shockingly high, and passion fruit is a great addition to the diet that can result in a number of amazing health benefits. Let’s explore some of those benefits in greater detail below. Immune System: Since ancient times, passion fruit has been cultivated and enjoyed because of the boost to the immune system that it seemed to provide. Although this was unknown to most people until modern times, this immune strengthening property was due to the presence of vitamin C, carotene, and cryptoxanthin. In fact, a single service of passion fruit has more than 100% of the total required intake of vitamin C for a healthy diet. All of these vitamins act as antioxidants, which scavenge free radicals from the body and neutralize them before they can harm the organ systems and result in conditions like cancer, heart disease, or premature aging. Furthermore, vitamin C stimulates the activity of white blood cells and the rest of the immune defense system, thereby protecting you from common illnesses and serious diseases at the same time. Cancer Prevention: In a related note to the immune system health, passion fruit is also a powerful source of anti-carcinogenic activity in the body. Antioxidants in passion fruit primarily eliminate free radicals, which are known for mutating the DNA of healthy cells into cancerous ones. Passion fruit also contains vitamin A, various flavonoids, and phenolic compounds, all of which have been linked to anti-cancer properties, particularly in terms of oral and lung cancers. Vitamin-A Content: Aside from its cancer-protective qualities, vitamin A is also linked to improvements in eye health, including the prevention of macular degeneration, cataracts, and night blindness. Furthermore, if you are concerned about the appearance of your skin, not only is the high antioxidant content of passion fruit helpful in reducing wrinkles, but vitamin A specifically functions to boost the health and richness of the skin, and promotes the proper functioning of membranes throughout the body, including the skin, to keep it hydrated and glowing! Digestive Health: Passion fruits are a very strong source of fiber, and a single serving provides the human body with approximately 98% of its daily requirement. Fiber is an essential component of a health diet, since it is the substance that facilitates healthy digestion of food and the regulation of bowel movements. Passion fruit is a good source of soluble fiber, both in the pulp and in the rind, which acts as a bulk laxative, moving food through the digestive tract and reducing exposure time of the colon to any toxins. It can reduce signs of constipation by regulating bowel movements, scrubs the blood vessels clean of excess cholesterol, and even prevent gastrointestinal conditions like colorectal cancer! Blood Pressure: If you eat one serving of passion fruit each day, you can satisfy 1/4 of your potassium needs immediately. Potassium is a vital mineral in the human body for a number of reasons, one of which is its role as a vasodilator. It relaxes the tension of blood vessels and promotes increased blood flow. This reduces the strain on the heart and increases overall cardiovascular health. Furthermore, potassium is necessary to maintain the proper fluid balance of the body’s cells. Movement between membranes is often only allowed through potassium-regulated channels, so proper amounts of this mineral are of extreme importance. So make sure you pop a passion fruit into your lunch once in a while to keep your heart healthy and your cells functioning! Improved Circulation: When combined with the vasodilating properties of potassium, the high iron and copper content of passion fruit can really make an impact. Iron and copper are both essential components of red blood cell production, so once the RBC count increases and the vessels are dilated, then healthy, oxygenated blood can flow freely to necessary areas of the body, stimulating the metabolic activity in all the organ systems and boosting productivity and efficiency. Healthy blood flow is essential for proper functioning! Bone Health and Mineral Density:Since passion fruit is such a rich source of minerals like iron, copper, magnesium, and phosphorus, it is a very important fruit for increasing mineral bone density and bone strength. Some of these minerals are integral parts in creating additional bone matter, strengthening existing bone matter, and speeding up repair. This can be a means of eliminating, preventing, or alleviating the symptoms of osteoporosis and the associated pain and inflammation that occurs when bones deteriorate with age and activity. Insomnia: One often overlooked compound in passion fruit is a medicinal alkaloids, including harman, which functions as a sedative. This compound of passion fruit has been connected to a reduction in restlessness, insomnia, sleeplessness, and nervous anxiety which can keep you from getting a good night’s sleep. So, instead of a glass of warm milk, next time try reaching for a slice of passion fruit and head back to your pillow! Respiratory Conditions and Asthma: Recent studies have shown that a combination of various extracts from the purple passion fruit peel creates a novel mixture of bioflavanoids, which have an expectorant, sedative, and soothing effect on the respiratory system. It has been positively connected to a reduction in asthma attacks, wheezing, and whooping cough. Next time someone in your family starts hacking and coughing, slice off some passion fruit peel and see if that calms them down. A Few Words of Warning: There are no inherent risks of eating passion fruit, and its wealth of nutrients and health benefits take care of most bodily concerns. However, most of the calories of this fruit do come from sugars, so people with diabetes should be careful to not eat it excessively, or at least be aware of your blood sugar levels. Other than that, enjoy passion fruit and start feeling better in countless ways in no time!